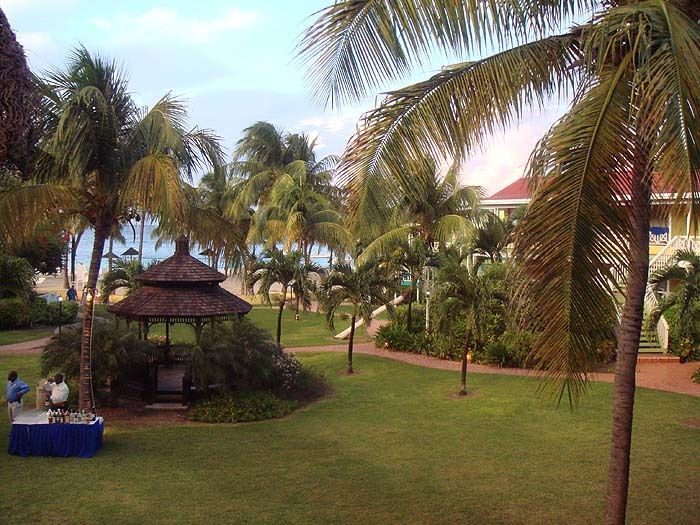 My pal Richard Gardiner just sent me an email about his pre-Christmas trip to Antigua. he obviously had a good time (who wouldn't?) and it adds a bit more to my Caribbean fishing file . Richard says I can use his material so here it is, more or less verbatim. Hope you are well and not getting a bad case of bass fever yet. 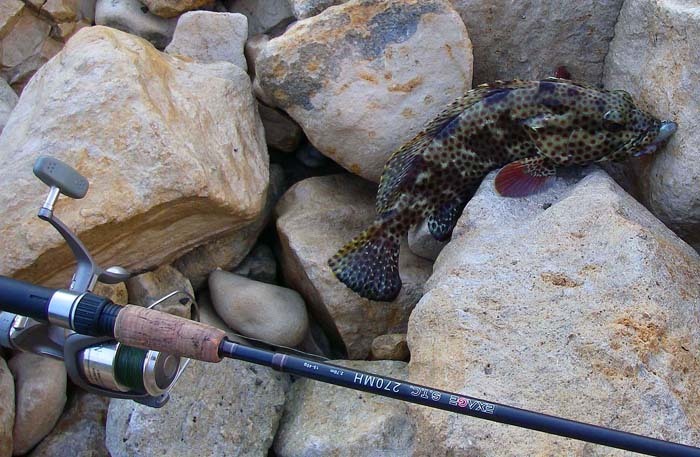 Firstly thanks for the tips on the beach early this year and on the web about fishing in the West Indies. We had a family holiday to Antigua in November and I took the travel rod and a selection of lures and just fished the small bay in front of the hotel. I fished at first light before my wife and daughter were up and met them for breakfast and then tried to fish the last hour of daylight. First couple of morning sessions had enough interest to keep me hopeful with small barracuda chasing and hitting the poppers but not hooking up although the biggest banged the rod round. 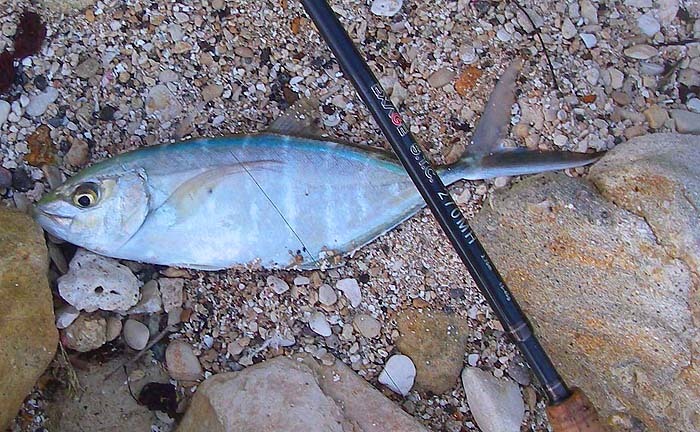 The third morning I had what I think you call palometa right under the rod tip and that night had a fish like a greater weever (Possibly a lizard fish?ML) all down the east end of the bay. With 2 days to go I fished the morning and noticed swirls under my feet and put a little shad through and took a small grouper like fish. Later just walking back a shoal of fish erupted on the shore but ignored the popper and disappeared. They then reappeared in the bay right on the edge of casting range and one took the skitterpop and again I think it was a palometa. I had to stop this fish running then pumped it in and was shocked to see a fish the size of a 12 ounce roach. Your right they don’t half pull!!!! The final evening I fished the west end of the bay and took a bright yellow wrasse on a diving lure then changed to the slider. As it was getting dark this lure was hit by something that took 40-50 yards of line before slowing which it did two more times until it was finally on the shore. It was a jack that looked 5-6lbs but lifting it out the fish must have weighed 8-9lbs - they are very heavy for their length. I was shaking by the time it was landed they pull so hard and fast, I can see why you go back every year. One tip for other people is have a good set of pliers to remove the hooks as even with a pair I struggled and snapped off one of the points on the treble. Hope to see you soon on the bank or beach.